2017 repress. 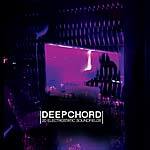 Following on from the dark intensity of Hash-Bar-Loops (SOMA 091CD), Deepchord has continued to innovate and diversify his output. 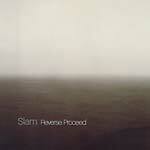 Traces of the previous album remain on this record but here, there is a lighter, more ethereal feel. Deepchord's characteristic manipulation of space and time is still intact and is an integral part of Sommer's soundscape. Modulating textures, sliding tempos, shifting rhythmic elements, and electroacoustics create a constantly-evolving, vaporous, sonic tapestry. Rich field recordings and proprietary processing methods (developed over 20 years of making such recordings) provide an impactful, living, organic element with flecks of percussion and bass pulsing from the sound field. Atmospheric warmth and engrossing layers are expertly woven with the overall mood, evocative of warm summer evenings. Listening is equally effective on a PA with a crowd as it is on the beachside with headphones alone.